Vintage Loop proudly sells the finest audio path components for your recording studio needs in making the best records possible, "capturing the moment" with the best equipment possible. After all, many times we get only one chance to record that special and unique moment-- it should be done with the best known equipment consciously possible. That said, you should give a serious look to Accusound cable. 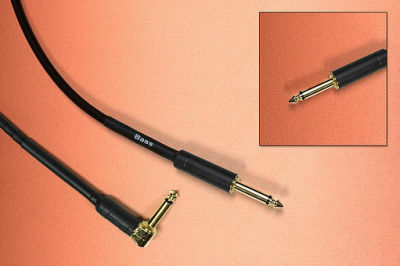 Face it, the cable is the "other" sometimes overlooked portion of the transducer which delivers that special microphone character, preamp divine signal to your recording device... to measure how well you did, you also need to hear it back as accurately as possible through your speaker cable. Accusound cable delivers those signal properties as accurately as state of the art can currently provide. Accusound ACX Series instrument and microphone cables are made in the USA. The perfect transmission of sound signals. 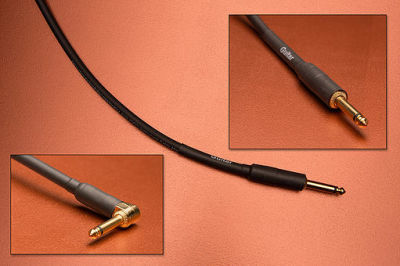 Composed of oxygen-free copper, high strand count conductors, audiophile grade polymers, high end connectors assembkled on cables using silver solder, and are RoHS compliant. Vintage Loop sells the full line of all Accusound products which include cables for your tube, fet, ribbon, and dynamic microphones, as well as full line of speaker cables and line signal inter-recording device cables. To retain the purity of your musical instrument signal, the character of your specially chosen pickups, etc., Accusound also manufactures various length instrument cables and inter patch "pedal jumper" wiring. To arrange purchase or pose questions regarding of any Accusound product, please call Vintage Loop at ph. 586-786-1767. Above "R" indicates one right angle connector per cable. Guitar/instrument cables and bass cables are assembled with oxygen-free copper, high strand count conductors, audiophile grade polymers, high end gold plated connectors assembled to wires with silver solder, ROHS compliant.